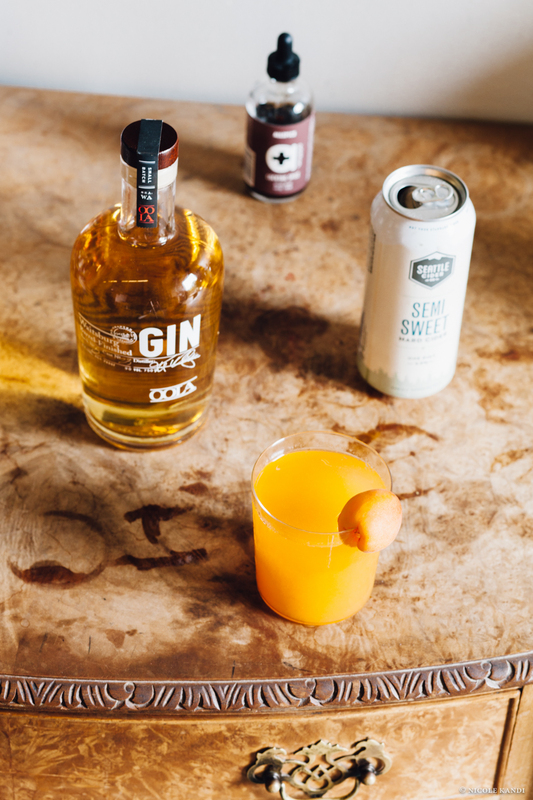 1 can Semi-Sweet cider from Seattle Cider Co.
Strain apricots into cocktail shaker over ice. Add gin and bitters. Shake. Pour into glass. Float Semi-Sweet cider and garnish with an apricot.